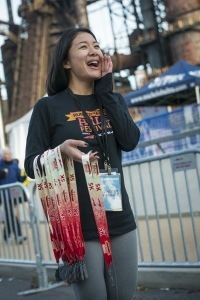 Two days ago was the 2nd Annual Runner’s World Half Marathon which took place in Bethlehem, Pennsylvania. A year and two days ago holds a memory that was a significant milestone in my life. It’s one of those days that you’ll remember for the rest of your life and each year will feel a rush of nostalgia overcome you on that exact day. Last year, the inaugural Runner’s World Half Marathon also happened to be the inaugural half marathon of my life. Last year, my whole world changed. Now, I don’t mean to sound over-dramatic here, but I can definitely say that the course of my journey in life was turned upside down a year and two days ago. Running has always been a large part of my life. 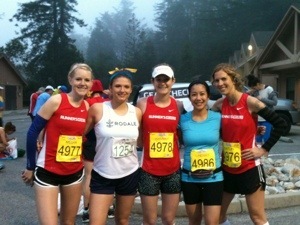 Working at Runner’s World has given me opportunities as a runner that I could have never imagined. Running a marathon had always been on my bucket list. Of course, I wanted to get a half-marathon under my belt first. 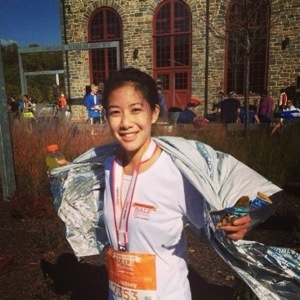 The Runner’s World Half Marathon was that opportunity for me. I had no idea what to expect. I had never trained for a race of that distance before. I didn’t know how I was going to feel before or afterwards. All I knew was that I was nervous and I couldn’t believe that it was going to finally happen. 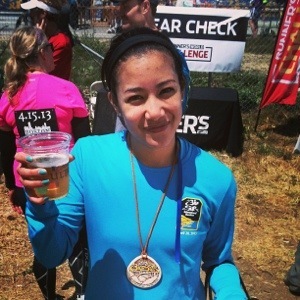 A year and two days ago, I ran my first half marathon. What I didn’t realize was that running this race would give me the courage to make other decisions that would change everything else for me. A year and two days ago was the same day that I broke up with my college boyfriend. After that, things were different. I moved to New York City and embarked on this new journey which I’m still currently traveling. It’s amazing to look back at the course of a year. It’s even more amazing at how little we know about how drastically one moment can cause a ripple effect of bigger life-changing moments. They say your 20’s is the time where you’re the most lost and confused. They say it’s the time of self-discovery. Well, as I’ve written in past blog entries before, it really is. This entire blog is documentation of this transformation period. Looking back a year ago, I didn’t realize that running this half marathon would plant a seed that would allow me to grow as a runner and a person. 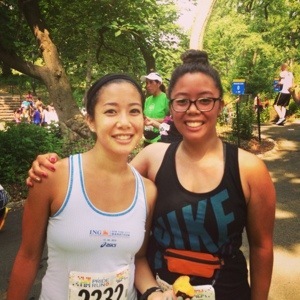 This year at the Runner’s World Half Marathon, I couldn’t believe how far away last year seemed. I couldn’t believe how far I’ve come. I couldn’t believe how different things are now. Yet, I’m thankful for that moment. I haven’t wrote much about running lately. It’s because I was sick all of last week with laryngitis and took a week off to rest. I started running again on Monday, the minute I felt that scratchy feeling leave my throat and lungs. I’ve stayed indoors to run the past three days. I ran 3 miles on the treadmill at the gym on Monday, Tuesday, and Wednesday- all with consistent times. Happy to say I haven’t lost the spring in my step, even after finishing a marathon a few weeks ago and then being hit with severe sickness. I wasn’t ready to take it out on the pavement yet because I always get too excited when I run in Central Park once I see the herds of runners surrounding me. I didn’t want to overdue it. I stayed inside to ease back into the game. I’ve noticed that as I’ve gotten older, I’ve become more of a lone-runner. People always ask me to run with them and I tell them, “Yea, definitely!”, but it never happens because I always seem to keep to myself. I’ve said this many times before, but I value my running time as my alone time. My time to sort through my thoughts, relieve any stress, and be with myself. However, I’ve learned that it’s somewhat unhealthy to be that way. Sometimes, you really need people. This morning, we finally received the long-awaited July 2013 issue of Runner’s World. The instant I saw the cover, my heart sank. This was the issue that was dedicated to the Boston Marathon bombings that took place on April 15th. The day that turned the running community and the entire world upside down. It feels like so long ago, but when I flip through the pages, every word recalls the feelings I felt like it was just yesterday. This holds true to me in every way possible, especially now that I can proudly call myself a marathoner. Most people don’t understand why runners run. It’s much more than just a work-out, or keeping yourself healthy and fit. Those are actually just bonuses. It’s much more than that. It’s a mentality. A state of mind. An outlet. Most importantly, it’s about community. The human spirit is an amazing thing. It’s resilient. We can be beaten and torn, but not broken. Runners, amongst all other, have proven that after the Boston Marathon bombings. To be able to rise above all the tragedy that has happened and come together stronger than ever is the miracle of the human spirit. Runners are determined, motivated, persistent and nothing can stand in the way of that. Not a bomb, nor anything else. 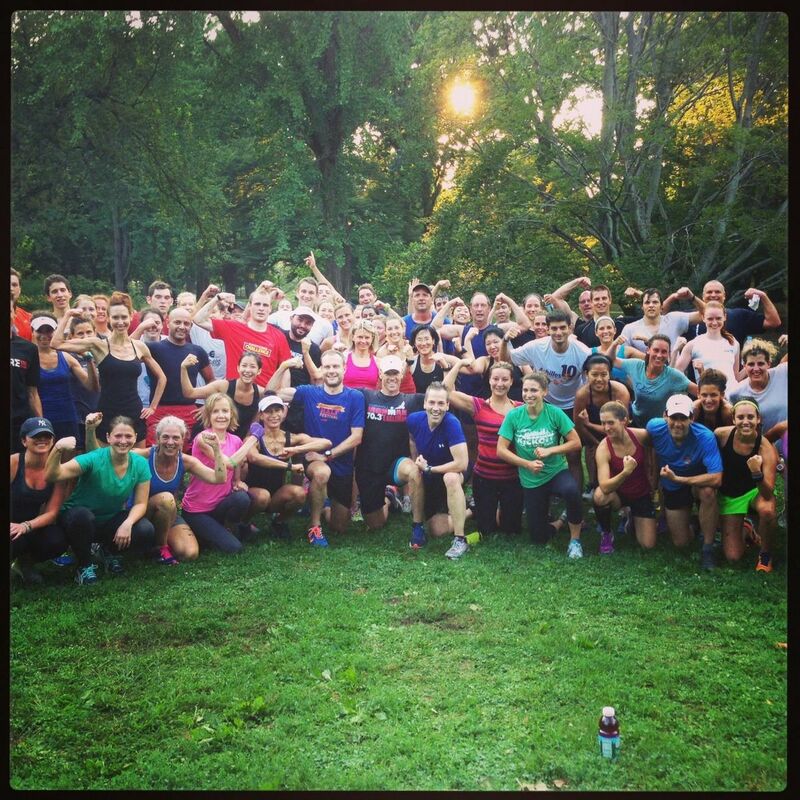 I’ve learned that a sense of community is really one of the biggest reasons for why I love running. As I stated earlier in this entry, once I get into Central Park to run, I always get too excited. I immediately feel inspired and uplifted, regardless of however I was feeling that day. It’s because I know they just get me. They get why I do this. In running and in life, we need the feeling that there are people who are going through exactly what we are going through. We need that comfort. The Boston Marathon bombings was a wake up call to the world. The human spirit cannot be broken. 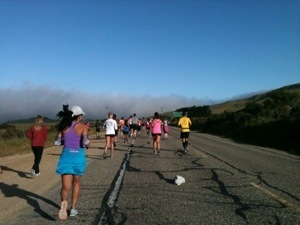 I have been counting down the days until the Big Sur Marathon ever since the very minute that I signed up for this race. I had a countdown app downloaded on my iPhone just to keep track and even had a written countdown on my dry erase board at work. I officially began training at the end of January/beginning of February and was worried that I didn’t have enough time to prepare. 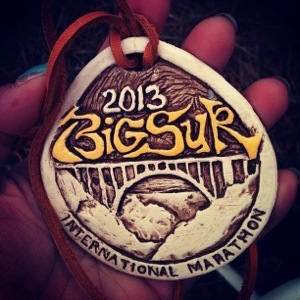 Big Sur Marathon marked my first full marathon ever and I had only recently ran my first half marathon in October of 2012 at the Runner’s World Half Marathon. A week ago, I ran my second half marathon at Rutgers University and set a personal record with a time of 1 hour and 45 minutes. 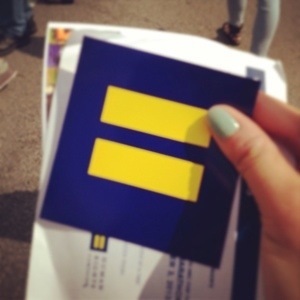 As ecstatic as I was, I still had to remind myself that the race that really mattered has yet to come. My training had many ups and downs as I was continuously getting sick due to the inconsistent weather, making poor food choices, and wearing improper winter apparel. Fortunately, my body pulled itself together in my final few weeks before the race. Once I got on the plane to Monterey at 6AM on Friday morning, I was finally accepting the reality that I was about to run 26.2 miles. The longest distance that I ran for my long runs was a mere 15 miles, and that only happened once. Naturally, I was freaking out about the fact that I was shy of 11 miles. Regardless, I kept reminding myself that there wasn’t really much else I could do at this point and that I just had to go with how my body felt on race day. Big Sur Marathon weekend was primarily a working weekend for me, so it was difficult to get into the mindset that I was actually racing. It ended up being a good thing because I occupied my mind with work instead of pre-race jitters. I didn’t have time to be nervous. 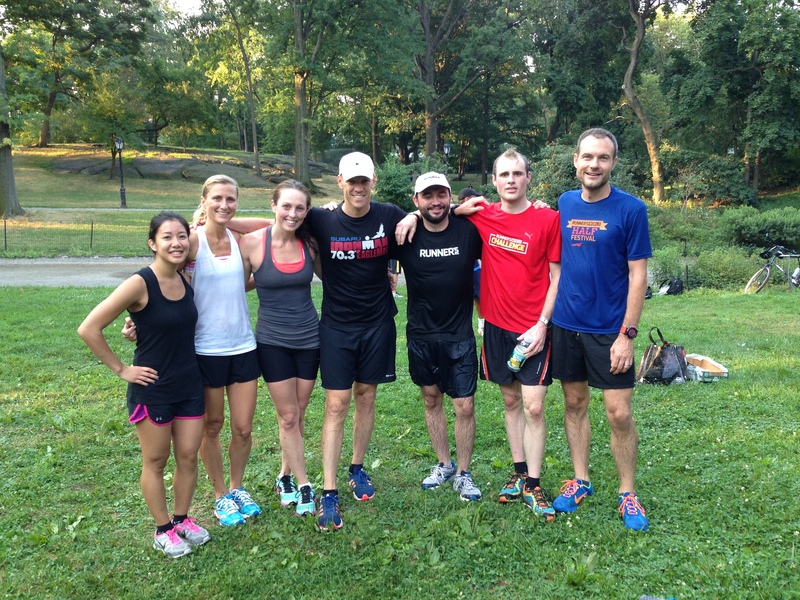 On Saturday morning, we had an 8AM shakeout run with the Runner’s World Challengers. I didn’t participate because I was making sure that everything was prepared for when the Challengers returned. Once everyone got back, I had my own private shakeout run by myself which is what I’m used to anyways because I run by myself all the time. At this point, I was really getting in the mindset that race day was tomorrow. 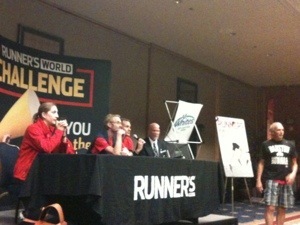 Later on Saturday afternoon, we held a Strategy Session where the Runner’s World Editors gave race tips, advice, etc. This was the first time that I actually had to pay close attention since it actually applied to me. Our editors couldn’t have given better advice. 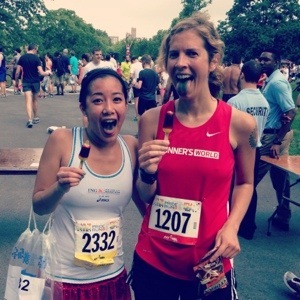 From Jen, I adopted the phrase “Run relaxed” and from Amby, “Every mile is a gift”. I took these words with me to the start line. Lining up at the start, all of the Runner’s World girls came together and we anxiously waited until the race announcer gave us the ‘go ahead’. I kept looking at my watch every 30 seconds and once it was race time, the nervous feeling in my stomach disappeared and I was just happy. As I started my first few miles, everyone was passing me. I couldn’t have gone any slower. I kept telling myself, “Stay slow”. 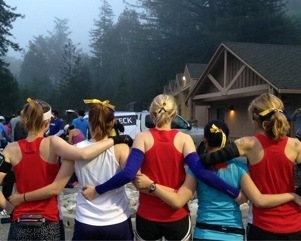 I made a friend in the beginning of the race and stayed with her for the first 7 or 8 miles. It was nice to have someone there for me to keep myself grounded. We were going at conversation pace and that’s exactly what I needed. 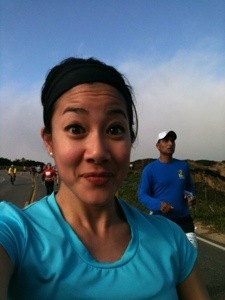 At mile 9, we parted ways and I picked up my pace as I was finally getting into race mentality. I knew that Hurricane Point was coming up, but I didn’t want to psych myself out. I just absorbed the scenery and kept myself calm. 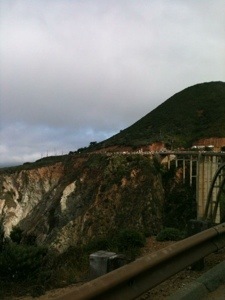 Once I passed Hurricane Point, I realized that I was already halfway done. I heard the piano player at the 13-mile mark and I couldn’t believe I was already there. My legs felt great, my body was relaxed, and my mentality was still positive. 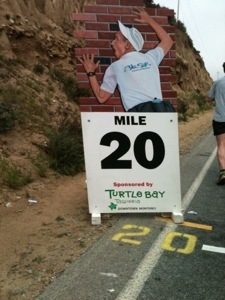 Up until mile 20, I felt like I was on top of the world. Nothing could stop me and I only had 6 miles left. It wasn’t until miles 22 through 26 that my legs finally started giving out. The rolling hills in the Highlands put my legs to shame and I had a persistent burning sensation in my quads for the remainder of the race. Once I saw the mile 26-marker, I had to channel every remaining bit of energy I had left to finish this race without walking. 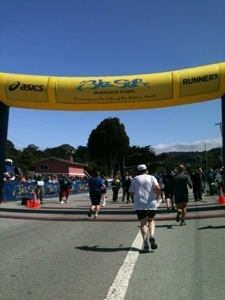 As I heard the distant sounds of people cheering and saw the finish line flags, I forced myself to open my stride. I just wanted to be done. I broke down in tears just seconds before I crossed the finish line and I couldn’t hold them back. My co-worker congratulated and comforted me, but I couldn’t speak. I just cried. The race volunteers gave me my medal and in that very moment, my whole life changed. I took one look at it and realized what I had just accomplished. It was quite possibly the greatest moment of my entire life. I can honestly say that this was one of the hardest things that I have ever done. It was a humbling experience that provided me with a new respect for running. I am honored to say that I am a runner. 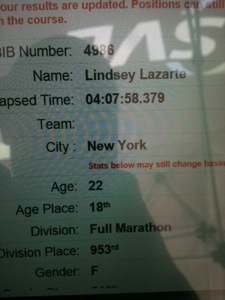 I am honored to say that I am a marathoner. I feel invincible, confident, strong, empowered, brave. Life gets hard. Bad things happen. There is pain. In the words of Haruki Murakami (author of “What I Talk About When I Talk About Running”) Pain is inevitable. Suffering is optional. In conclusion to this very LONG race report, I’d like to thank the people that made this marathon happen for me. They were my support, my team, my family. Thank you to my co-workers at Runner’s World. I couldn’t have done this without them.